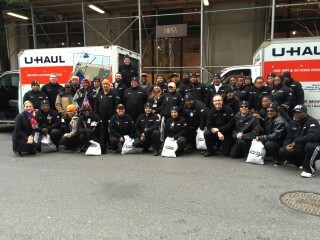 NEW YORK CITY – Joining the nearly 40,000 veterans, active-duty military personnel, marching bands and veterans’ support groups, Team U-Haul proudly marched up 5th Avenue during the 2018 New York City Veterans Day Parade to honor all who have served. 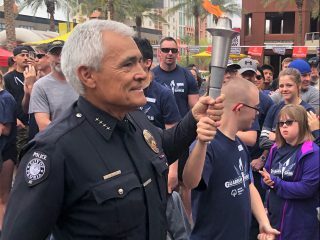 It was the Company’s 13th year of support and participation in the largest Veterans Day parade held annually. 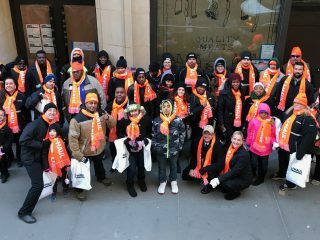 Team Members, along with family and friends from U-Haul Companies of Manhattan/Bronx, Brooklyn/Queens/Staten Island, Northern New Jersey and the Lower Hudson Valley, came together to take part in the tribute. The 99th annual New York City Veterans Day Parade served to recognize the centennial of the end of World War I. Each branch of military service is on display in the parade, but every year one branch is front and center. 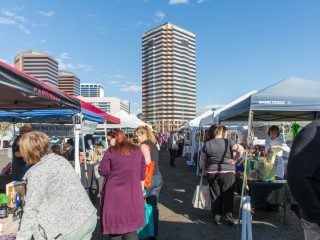 The U.S. Army was the featured branch this year. U-Haul was proud to welcome the participation of many of its own veterans representing all branches of the U.S. Armed Forces. Before Team U-Haul joined the parade line, UHC of Manhattan/Bronx president Jeff Sonberg interviewed some of the Company’s veterans. Asked what Veterans Day meant to them, the team offered their heartfelt remarks. Following closely behind Team Members are the shiny U-Haul trucks featuring the U.S. Armed Forces SuperGraphics. These are recognized images among parade-goers that always generate lots of cheers. A new graphic was on display leading the 2018 truck lineup, featuring photos of U-Haul co-founders Sam “L.S.” Shoen and wife Anna Mary Carty Shoen. The new image also told the iconic story of how U-Haul was forged by veterans in the aftermath of WWII. 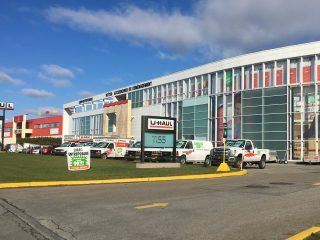 Veterans built U-Haul. 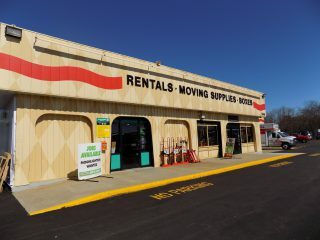 They not only laid the foundation for the Company and its vast network of neighborhood dealerships and stores, but they also comprised many of its first customers. U-Haul recruits veterans because the Company knows their value, and their commitment to team, service and results. 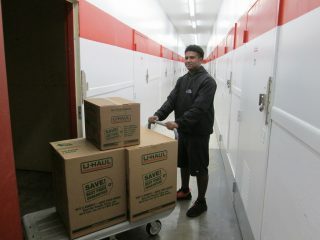 Learn more about careers at U-Haul by visiting http://jobs.uhaul.com/. 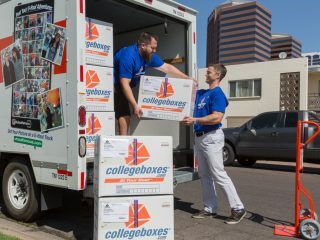 Finally, U-Haul continues to embrace the veteran community by giving them priority in the recruiting process for jobs. 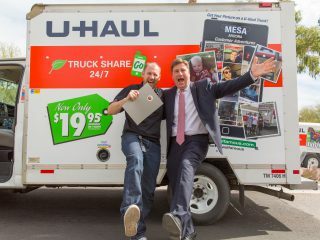 The U-Haul commitment to hiring and helping veterans has never been stronger than it is today.